Curved-laminate counter with 7 compartments, flush-mounted acrylic writing top. Choice of 7 finishes. 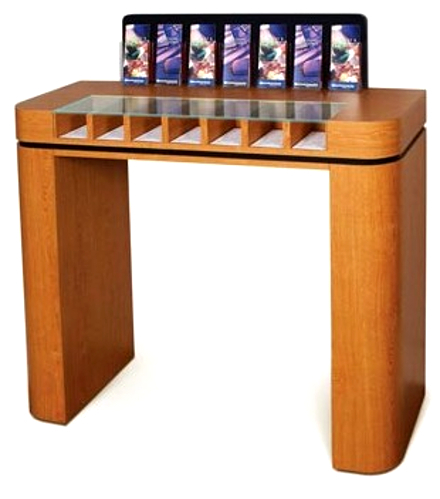 Optional 7-pocket literature display.